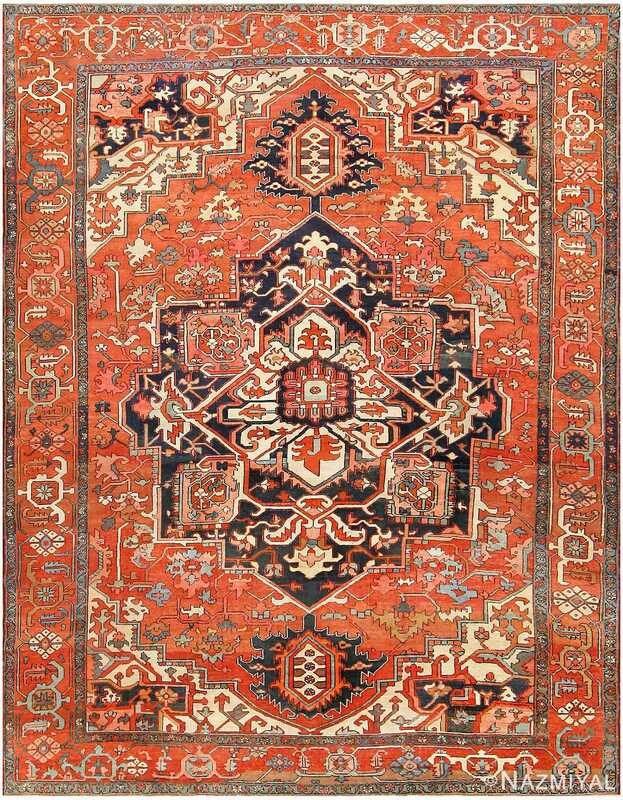 Possessed by a rich and traditional design and composition, this antique Serapi carpet beautifully showcases some of the finer points of this intriguing style. 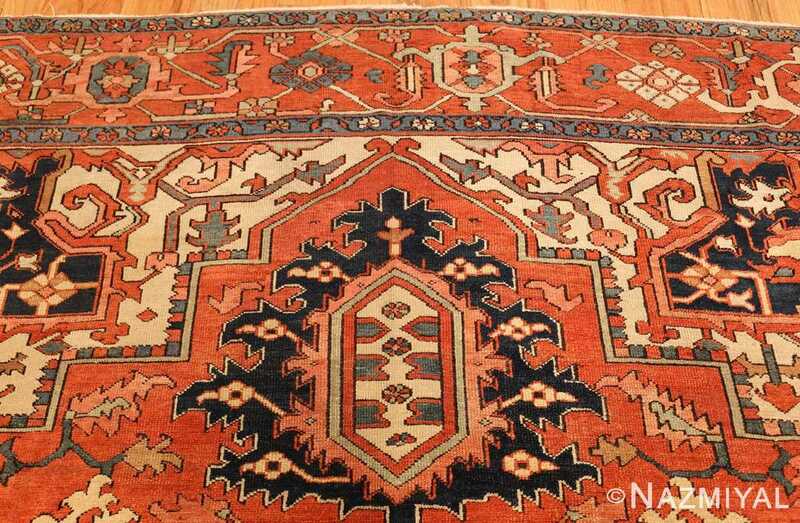 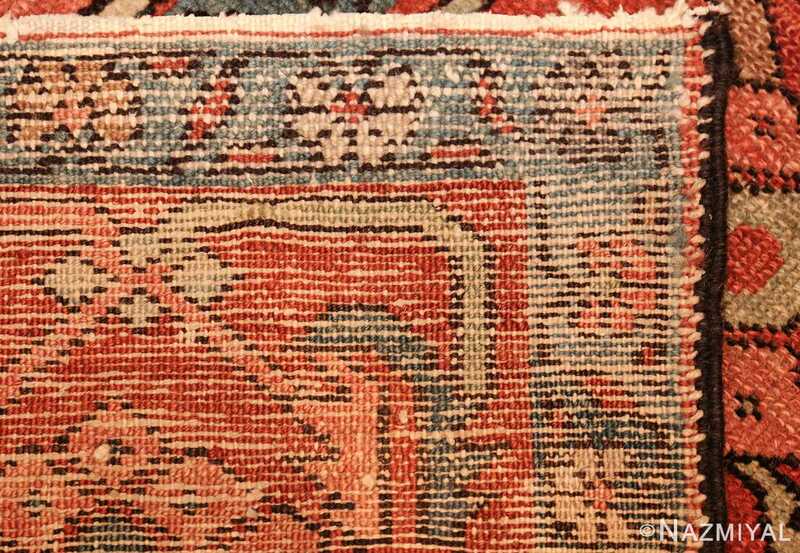 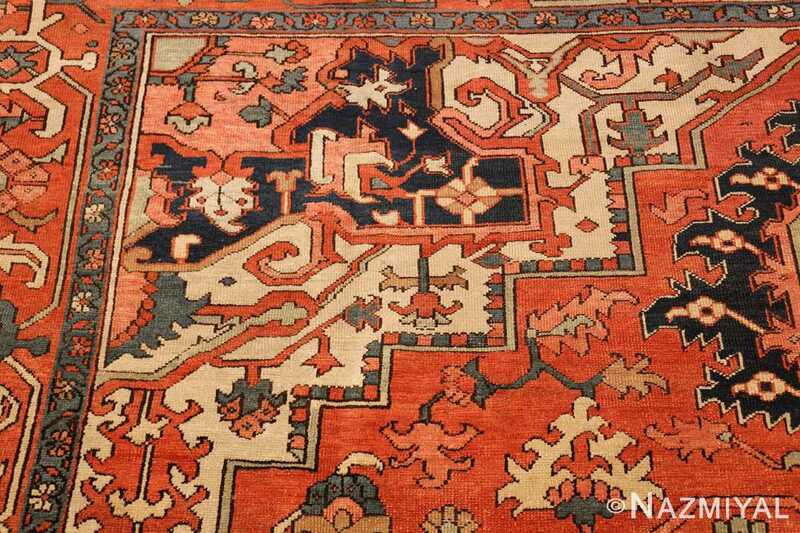 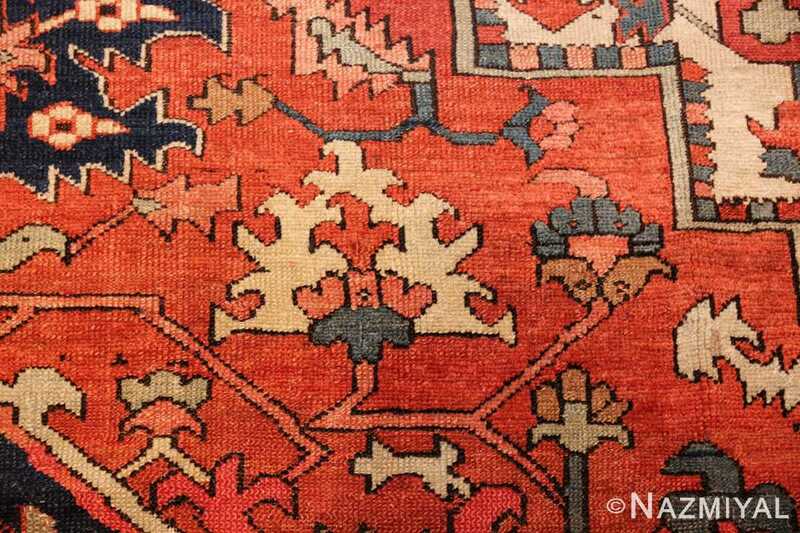 Antique Persian Serapi Rug, Origin: Persia, Circa: Turn of the Twentieth Century - Here is a beautiful antique Oriental rug - an antique Serapi rug that was woven in Persia around the turn of the twentieth century. Possessed by a rich and traditional design and composition, this antique Serapi carpet beautifully showcases some of the finer points of this intriguing style. 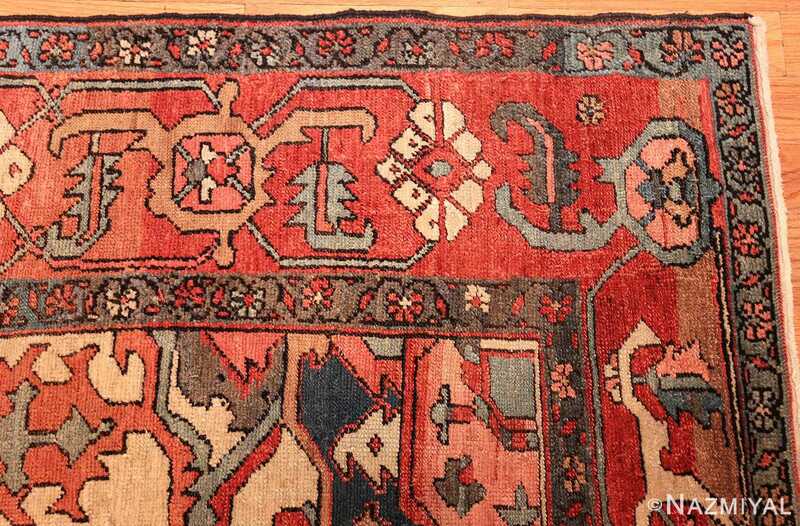 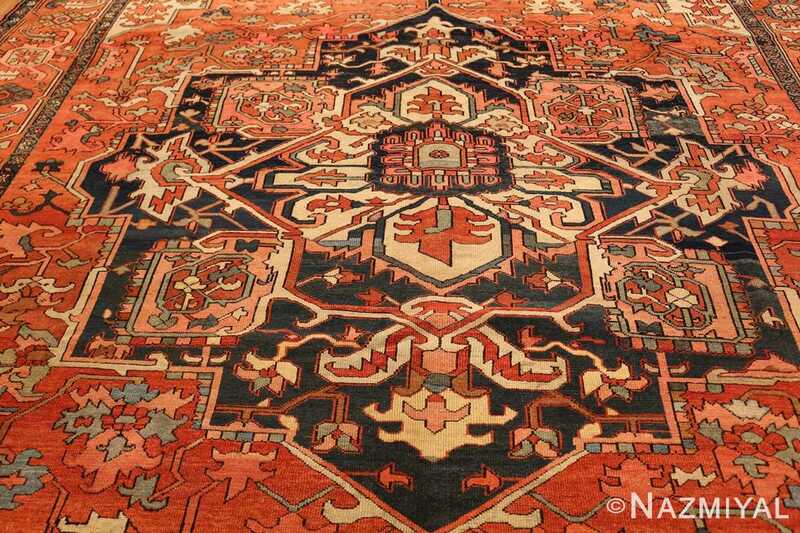 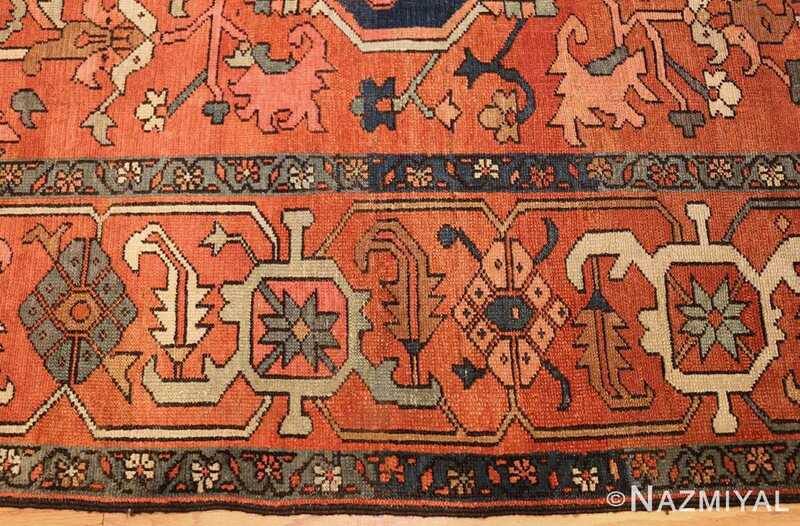 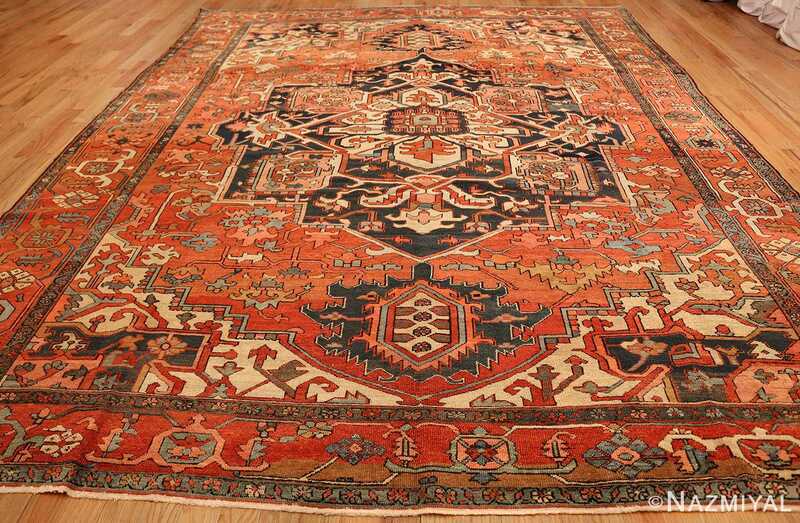 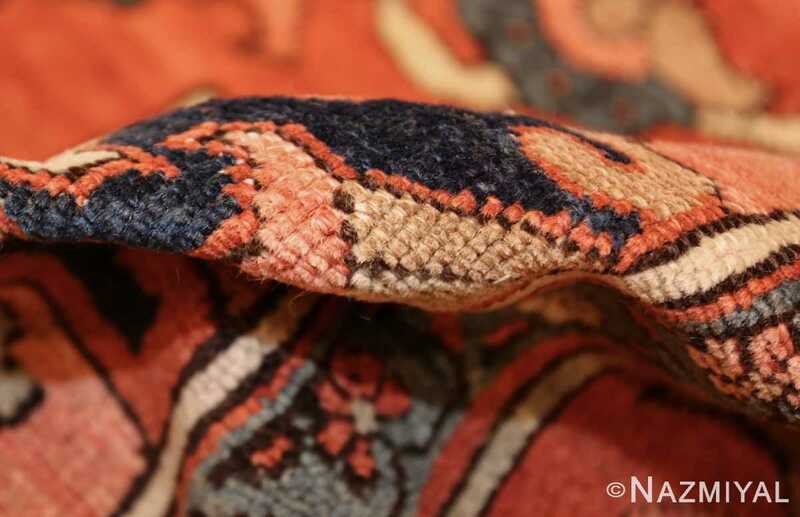 Among all styles of antique Persian rugs and carpets, it is the Serapi style that perhaps most beautifully represents those that are tribal in their aesthetic direction. 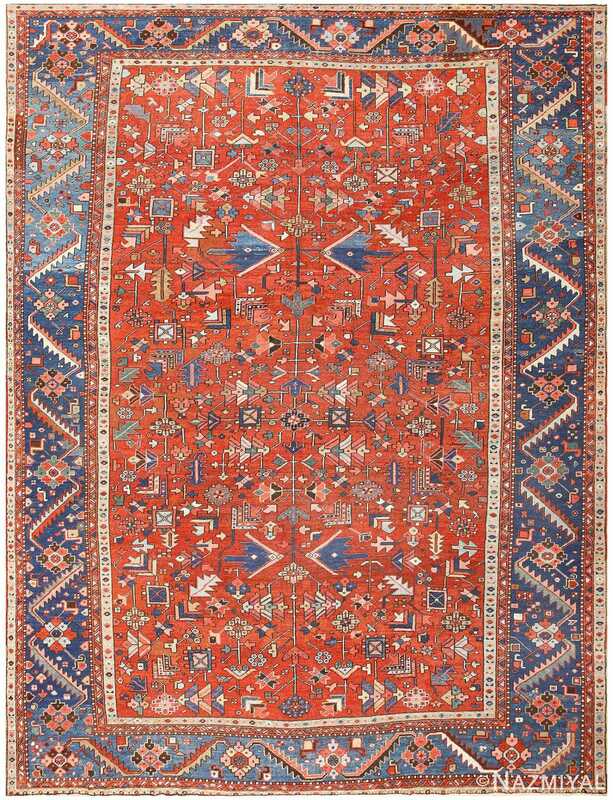 Exciting rectilinear vine scrolls of ivory, blue and red are set against a rich red hue throughout the borders - a tone that also serves as the primary background color throughout the field. 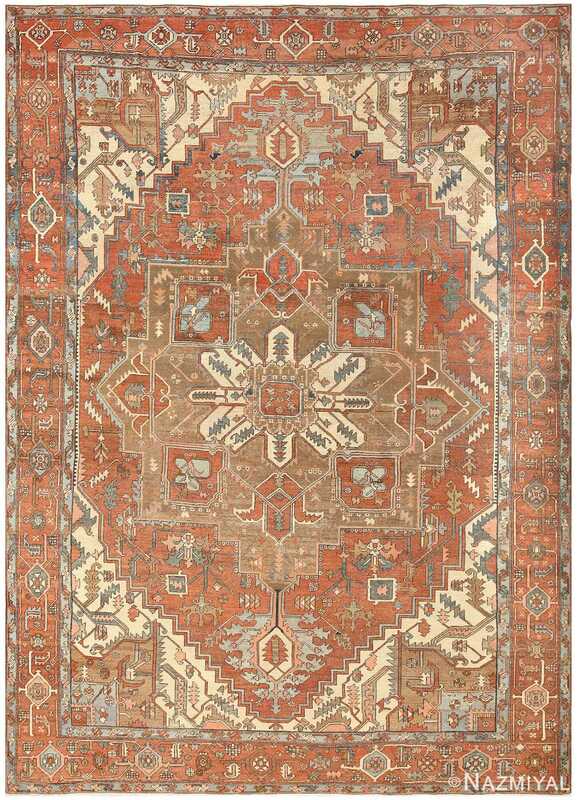 Here, out sized design elements dominate the action: large corner pieces rich with rectilinear detail work frame the action beautifully, while a large central medallion design dominates the composition. 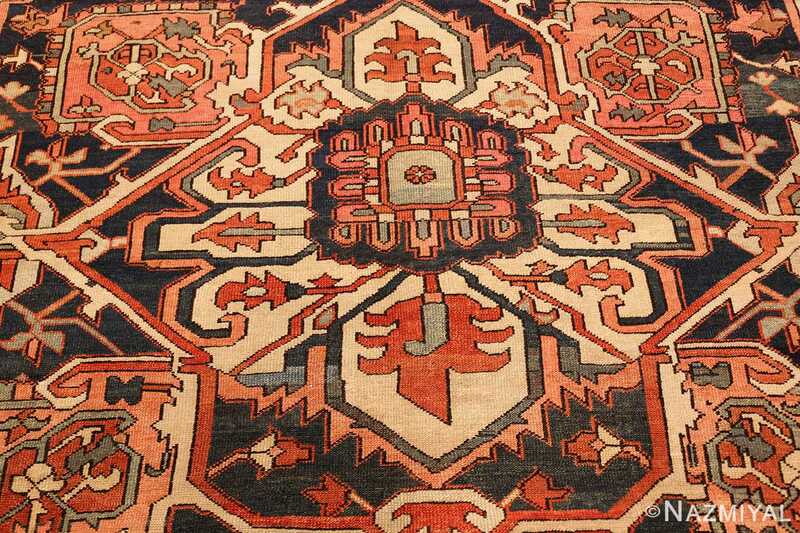 This medallion is extremely ornate, featuring a myriad of precisely worked geometric and rectilinear detail elements. 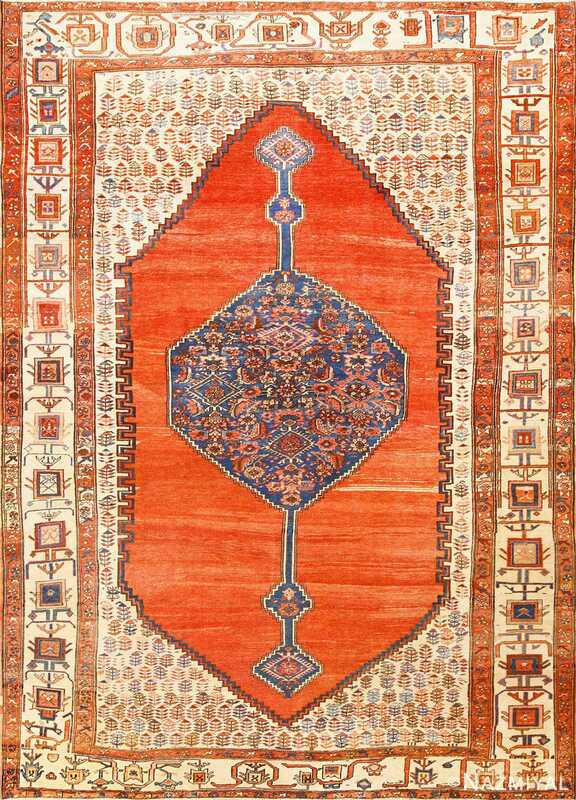 All around the field, a similar pattern of detail work unfolds, radiating outward in a highly traditional manner.